Time for something light – and edible. 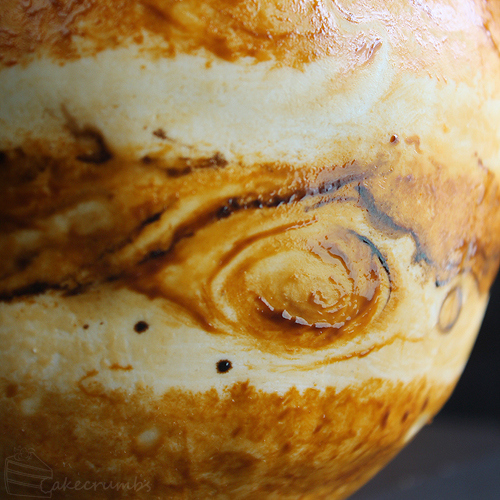 Australian wildlife conservationist, Rhiannon, has a baking blog named Cakecrumbs, and she has posted fun globe cakes she made that even show the planet's inner core. This was made as a challenge from her sister, who teaches at elementary. Her sister wanted a fun way of teaching kids about the earth and what's inside it. At first Rhiannon thought she couldn't do it (she didn't have hemispheric tins of varying sizes), but she managed to solve the problem. 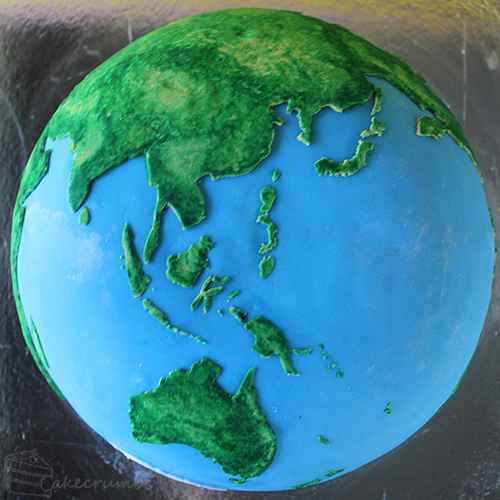 This edible world globe is just half of a sphere (the kids were too few to warrant a whole globe) but the degree of geographic detail is amazing for a cake. There are no latitude and longitude lines and no place names but, considering the cutting out of the fondant map, and painting in the details with gel paste took six hours, the cake would have been spoiled by the time she finished painting in the last place name and grid line. And I doubt a globe cake would look mouth-watering with black grid lines on it. This globe cake is so anatomically correct that it even shows the inner core (vanilla buttercake), outer core (lemon Madeira sponge), mantle (orange Madeira sponge), and crust (chocolate buttercream) when you slice it. The oceans and landmasses were made of marshmallow fondant. Liz Shim says this cake was made for her friend Scott, who was to travel in 11 countries around the world. Globes are really great going-away presents – especially if you can eat them too. 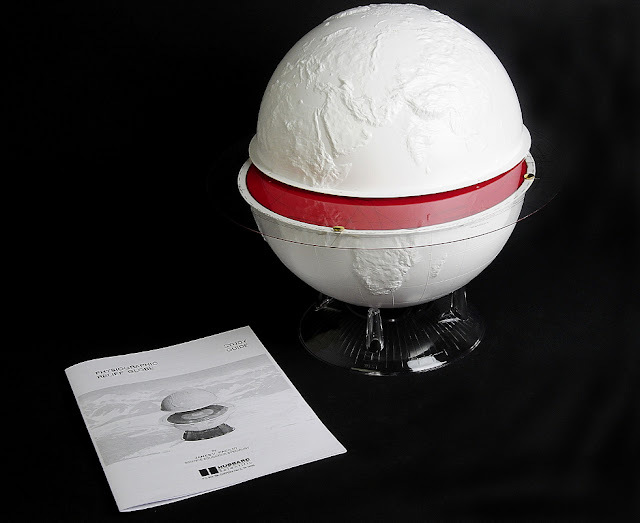 Like Rhiannon's globe cake, the actual cake is just the top half, the lower half is just a haf-hemisphere base covered with the same fondant ocean as the cake. 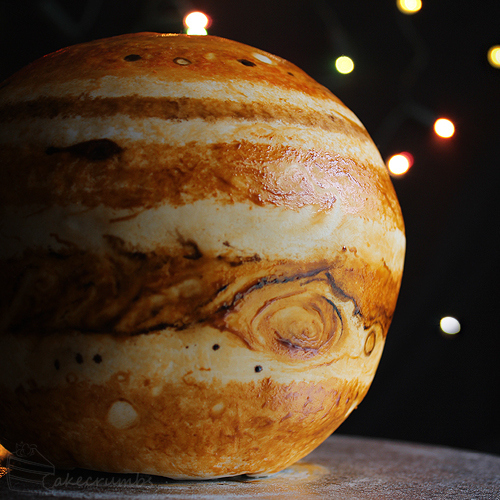 Armed with her experience on the Earth Cake (and her penchant for accuracy), Rhiannon's Jupiter Cake is a marvel of painstaking patience. The painting of the surface with ivory marshmallow fondant and ivory, maroon and brown edible inks took 8 hours. The Jupiter Cake's rocky core is of mudcake (chocolate, I hope), surrounded by almond butter cake (to represent the next layer of liquid metallic hydrogen), surrounded by blue-tinted vanilla Madeira sponge (representing the next layer of molecular hydrogen), followed by a thin layer of vanilla buttercream before the fondant surface. 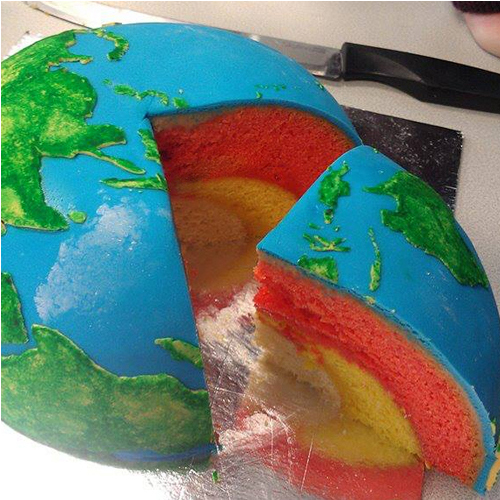 All this talk of food makes me hungry, but there's no denying cakes are a fun way to learn about the earth and other planets. Jupiter (and maybe Uranus) to come. These are 4.5-inch jewel-like globes that only need light to rotate (don't ask me why the moon is in the 'planet' collection). But you still can't eat them. 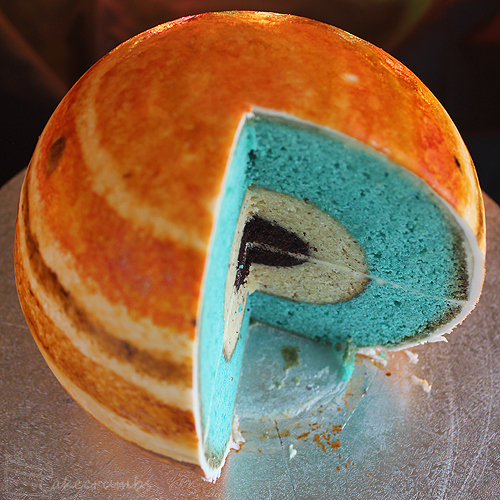 Cakes are a fun way to learn about planets but you can't store them for reuse and baking them would be time-consuming. But it's good to know you can have your globe and eat it too.